Spotting the early symptoms of dementia in elderly is critical to getting early treatment. Some studies have shown that individuals who receive treatment for dementia at an early stage are able to hold off the progression of the disease. Often, it is up to family, friends and others close to the senior to spot changes in a senior's mood or behavior to get him or her this type of early help. It can be difficult to know if an individual has the beginning symptoms of dementia because of how closely these symptoms resemble healthy aging. For example, one of the initial signs of dementia is memory loss. Yet, as most people age, their memory (both short term and long term) can fade a little. Learning how to tell the difference between dementia and common old age symptoms is essential. 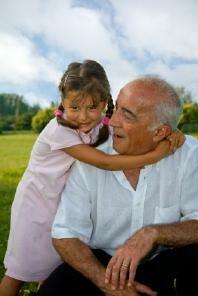 Often, the symptoms of dementia are similar to Alzheimer's symptoms. Cognitive difficulties are some of the first signs of dementia. If these symptoms are evident, they should be brought to the attention of the senior's doctor. Memory Failures: Lapses of memory are important first signs of dementia. Most people will forget appointment times or forgot someone's name. The most important type of memory loss is the loss of recently learned information. Initially, this may only occur infrequently, but as the condition progresses, it will grow in frequency. Common Task Loss: One of the easiest to spot first signs of dementia happens when individuals fail to recall how to perform basic tasks. This includes basic hygiene or preparing meals. A senior may be unfamiliar with making a phone call, for example. The steps to performing an action are lost to them. Language Skills: Most people forget names or mistakenly use terms. In early dementia cases, individuals use terms incorrectly. Both speech and writing skills can feel the effects. Forgetting simple words with increasing frequency is a clear warning sign of dementia. Loss of Orientation: In early dementia patients, individuals lose their orientation in familiar places. For example, they may forget where the bathroom is in their home. They may get lost in their neighborhood. At this point, the onset of dementia is usually evident and discussion with doctors should occur. Behavior changes are also indications of the onset of dementia. While many people mistakenly attribute these changes to aging, they can be early signs of a larger problem. Mood Changes: In particular, look for rapidly changing moods. A range of emotions taking place in a short period, such as rage to sadness, can be an indication of dementia. Over time, this may occur more frequently. Personality Changes: Pinpointing personality changes can be difficult. One way to spot this early change is to notice how an individual reacts when he or she has forgotten an important piece of information. Often, in early stages, a person may feel frustration by the loss of information. He or she knows they've forgotten and then become agitated. Personality changes that seem out of the ordinary for the individual in a short or long period of time should be noted. Some experience depression which may be easier to spot. Energy Level Changes: This is a particularly important early warning sign as it can be an indication of a worsening condition. Notice changes in loved ones, and the amount of energy they seem to have. Many individuals will sleep for long periods. They may sit and watch television for hours, even if they used to be very physically active. They may pull away from activities they once loved to engage in. Getting help for a loved one potentially suffering from dementia can be challenging. The first step is to know the early symptoms of dementia in seniors. Many times, individuals realize they are forgetting things, but they may be resistant to seeking medical attention for their condition. Still, medical attention is critical to prolonging life. Take the time to monitor the individual's behavior closely. Are these symptoms becoming more frequent? Notice when symptoms become dangerous for the individual. For example, if an individual becomes lost while driving his or her car, this could be a warning sign of dementia and should be reported right away. Involve family doctors and close loved ones. When more individuals can spot these signs, the senior may be more willing to undergo treatment or to talk to their family doctor about their condition. Keep an open mind and share much love. Many times, the senior does not realize what could be happening.